A middle-to-top of the range mattress whose zoning and perfect material composition of the core provides a firmer and highly stable support for the spine while you sleep. 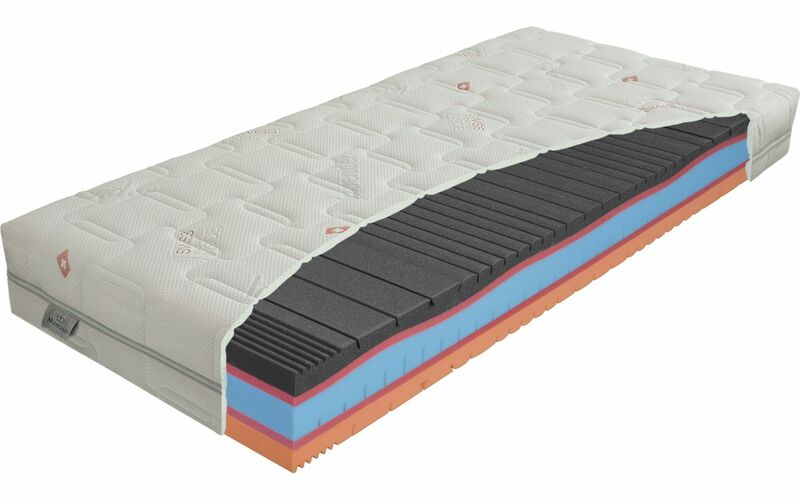 Swiss EvoPoreHRC foam provides the guarantee of a long lifespan, the antibacterial foam with Sanitized treatment the guarantee of good hygiene. The Lavender cover, meanwhile, provides the user with pleasant aromatherapy. A mattress with an excellent quality-to-price ratio.